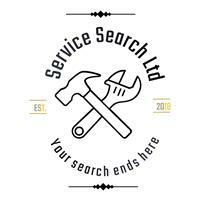 Service Search Ltd - Central Heating Engineer based in Caldercruix, Lanarkshire. My name is Sean i have been a Domestic Gas and Plumbing tradesman for the last 5 years with a background of 10 years as a senior engineer in the oil and gas sector. I provide a professional service with a high quality finish to all work carried out. All gas work comes with a gas safe certificate on completion as standard and a 3 months guarantee with all work. Please feel free to get in touch any time for any advice, quotes and jobs you may have!